Four people are confirmed dead with a fifth unaccounted for and presumed dead after a crash in the Alaska Range on Saturday. 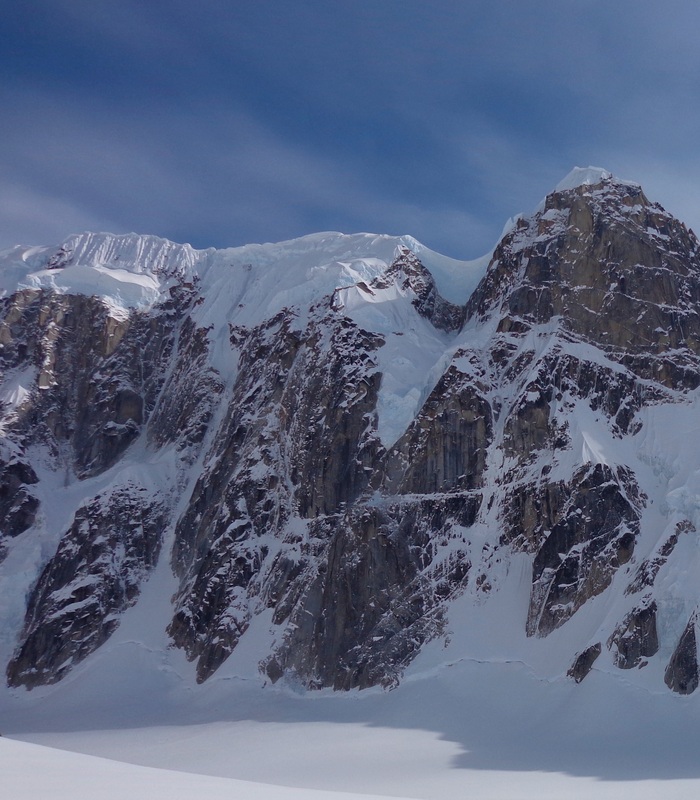 It is the first fatal crash in the Alaska Range involving a commercial operator since 2003. On Monday morning, the National Park Service saw a potential window to reach the site of a DeHavilland Beaver that crashed fourteen miles southwest of the summit of Denali on Saturday. Bad weather had kept rescuers away Saturday night and all day Sunday. Katherine Belcher, Public Information Officer for Denali National Park and Preserve, says there was hope that the five people aboard the airplane might still be alive. “We had no visual confirmation of the condition of the plane, so I would say we were hopeful for a happy outcome,” Belcher said. That happy outcome was not to be, however. 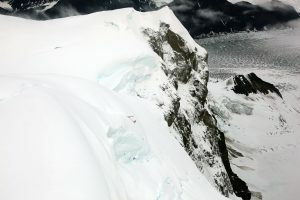 The rescue helicopter was able to reach the crash site on a narrow ridge known as Thunder Mountain, and a ranger was lowered on a tether to inspect the plane. He was able to reach the downed Beaver and confirm that at least four of its occupants were dead. With the weather closing quickly, the ranger was not able to locate the plane’s fifth occupant, but Belcher says conditions are such that the person is presumed dead as well. On Monday afternoon, the National Park Service identified the pilot of the aircraft as Craig Layson of Saline, Michigan. The Saline Post newspaper says Layson is married with three children. The four passengers aboard have not been identified, but were all Polish citizens according to the Park Service. What was a search and rescue has now become a recovery effort. Belcher says park personnel are developing plans for when the weather clears. K2 Aviation, the company that owns the plane, released a statement Monday saying its staff is grieving the loss of life and that the company cooperating with all agencies involved in the recovery and investigation. The company has suspended all flightseeing tours in the wake of Saturday’s fatal crash.